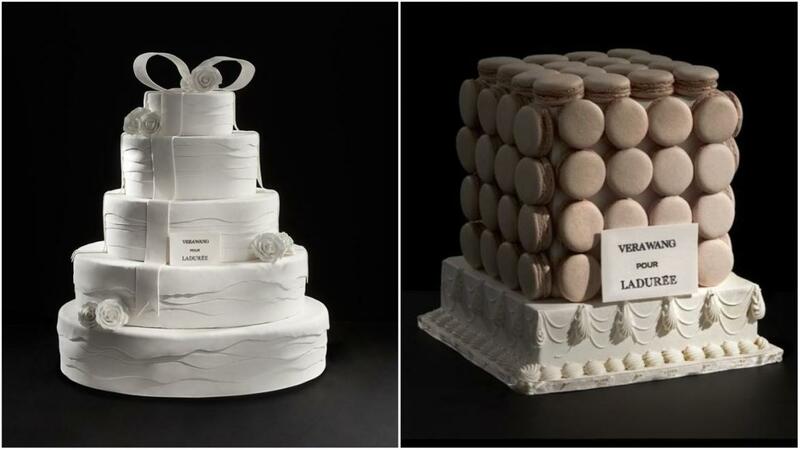 Vera Wang has long been the queen of bridal fashion and now she’s bringing her signature style to wedding cakes as well. 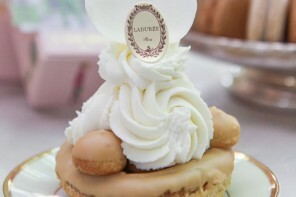 The designer is usually known for her artistry in lace and organza, but she has now teamed up with Ladurée to recreate the beautiful designs she is known for, except this time she’s swapping fabrics for frosting. 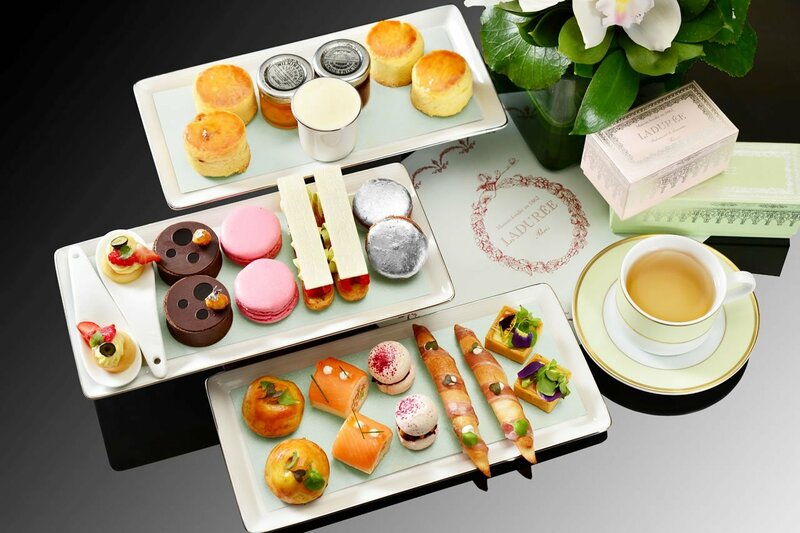 The Vera Wang Pour Ladurée collection includes macarons, the delectable bite sized treats that Ladurée is known for the world over. 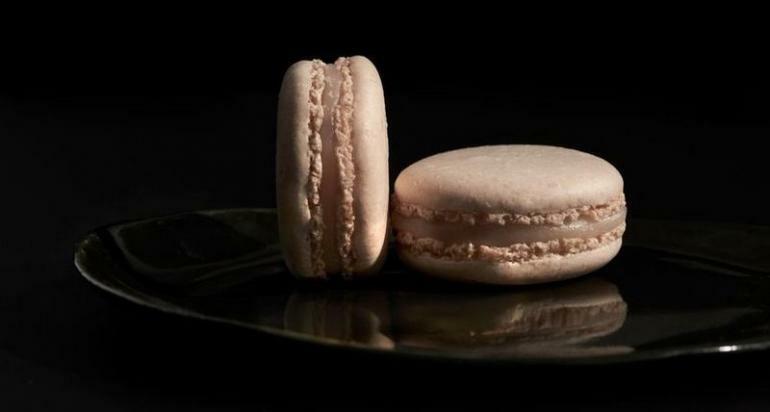 These are coconut crème chantilly macarons, delicately peach in color. 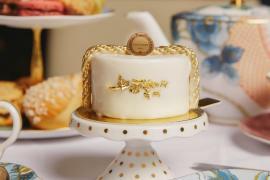 The cake meanwhile is flavored with the tropical flavors of mango and coconut. 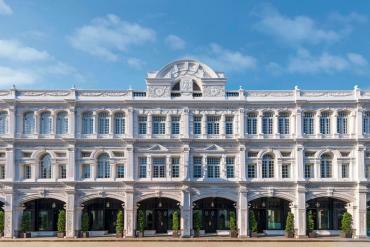 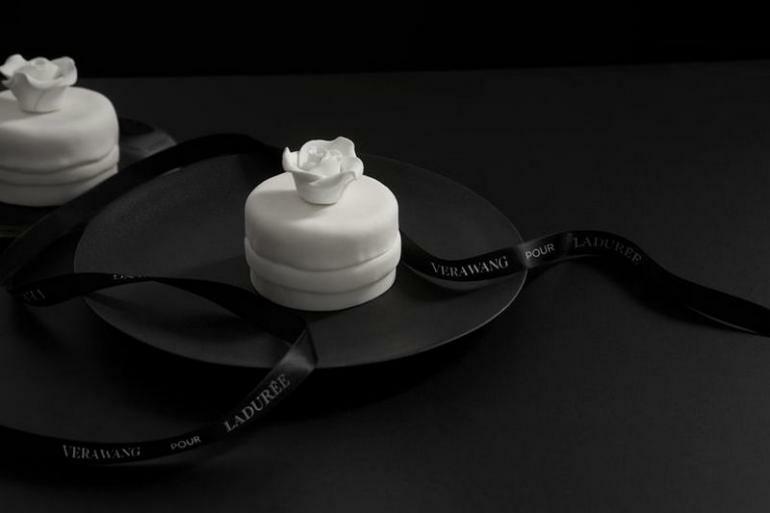 The wedding cake design is inspired by one of Wang’s dresses; the tiered white confection is accented by a white or black ribbon and decorated with roses. 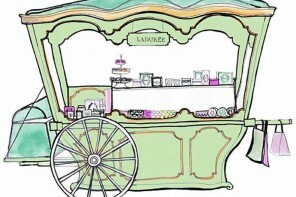 The sweet treats can be spotted in the window displays of Ladurée’s Madison Avenue and Soho New York City locations until January 26. 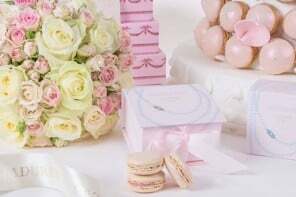 Cakes can be ordered throughout 2018. Individual cakes are $20 each; full sized cakes are $20 per guest (minimum 40 guests). 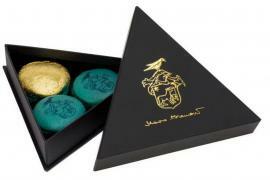 The macarons are only available while stocks last. 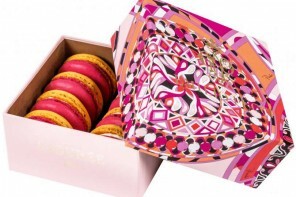 Prices range from $24 for a pack of six to $425 for a large cube of 125 macarons. 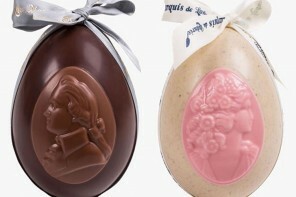 Check out Ladurée and Mikimoto’s bridal inspired desserts!